Kid-Made Christmas Ornaments for Every Kid to Ma..
From penguins to pom-poms and snowflakes to sequins here are the best kid-made Christmas ornaments for kid crafters of every age to make this season! Rock, Paper, Scissors Ornament for a Kid-Made Ch.. Inspired by the hilarious kid’s book, The Legend of Rock, Paper, Scissors, this kid-made ornament is sure to be a hit for your little book lover for a #KidMadeChristmas. 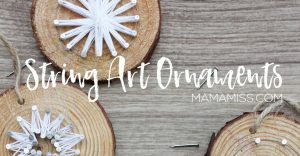 10 Days Of Christmas 2018 – Kid-Made Ornam..
We are kicking off the sixth year of the 10 Days of Christmas 2018 with Kid-Made Ornaments! SIX YEARS – wowza!!! Like in years prior, all of the kid-made ornaments will be based on children’s books. Looking to add a little more color to your Christmas fun? Well, I’ve got you covered for a Kid-Made Colorful Christmas with these fab Ornaments and Gifts! Lickety Split it’s a DIY Tent Kit! This little DIY Tent Kit will sure be a gift giving hit. 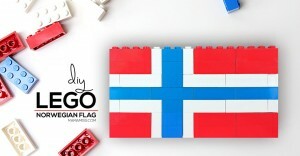 It’s creative, useful, and will spark endless opportunities of inventive & imaginative play! Bottle Brush Forest Ornament for a Kid-Made Chri.. This Bottle Brush Forest Ornament, made by kids and inspired by the beautifully illustrated book, Pick a Pine Tree, is perfect for your Kid-Made Christmas! 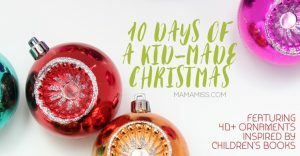 10 Days Of Christmas – Kid Made Ornaments ..
We are kicking off another fabulous year of 10 Days Of Christmas: Kid-Made! This year we have 50+ kid-made ornaments AND kid-made gifts, all based on books. Service Project Ideas for Getting the Kids Invol.. Some great service project ideas for getting the kids involved – inspire your littles to make a difference in the lives of others with these great ideas. I think you are pretty amazing. I think you are better than unicorns and sparkles combined. Print this out and remind yourself daily of your amazing-ness. Sweet Potato Buddha Bowl – a feast for you..
Sweet Potato Buddha Bowls are chocked full of veggies and a healthy and hearty meal that everyone will love – even the kiddos! Nothing Is As Sweet As You – A DIY Candy B..
“Nothing is as sweet as you”, and that’s the truth! This DIY candy box is as simple as can be. A yummy treat for any day that needs to be a little sweeter. I’m loving the new Mandalas 2017 Calendar for this year – this colorful desk calendar brightens my work space and brings a little zen to my workday! Here’s the all NEW 2017 Blogger Planner – with 10 new pages, revised & redesigned pages – making it the ultimate and only organizational tool needed for bloggers in 2017! A week before Christmas when all through the house, the kids were crafting as quiet as a mouse. Not likely. Here are tips for Christmas Crafting with Kids. We are kicking off another year of Kid-Made Christmas Ornaments! This year we have 40+ kid-made ornaments, based on kid books, ready for you to make! 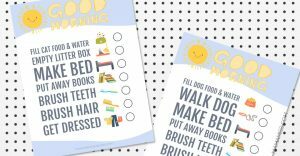 Make your mornings THAT MUCH easier with this simple (and free) printable morning chore chart – created for you two ways. AWESOME! 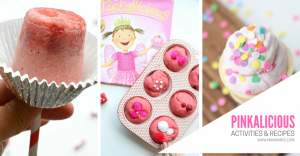 Here are a collection of Pinkalicious Activity Ideas for pre-writing, science, sensory, cooking, alphabet, colors, numbers, and shapes. 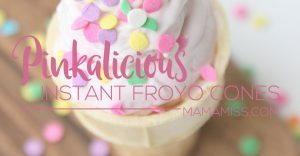 Instant Froyo Cones! You’ll never guess how simple these are to make. The secret to a perfect healthy treat is easier than you think! Just add sprinkles. Like peanut butter and jelly, math and art are my favorite combination! 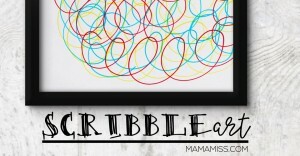 This Scribble Art Rainbow Fish is process based art combining both math & literacy. Want to know how to keep your kiddos busy this summer?! 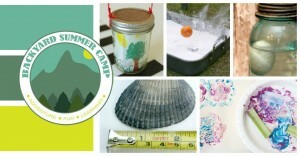 Try creating your own Backyard DIY Summer Camp with these easy instructions! Ready to be inspired by quotes – here’s four new quotes. 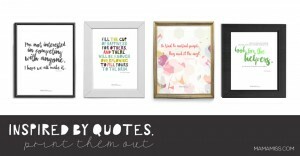 They are ready to frame – just print them out & add them to your gallery wall. The friendship in Corduroy is about a button. 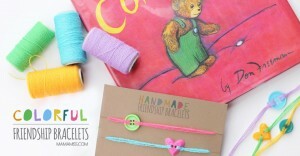 Tell a friend you love them, just the way they are, with single button handmade colorful friendship bracelets. 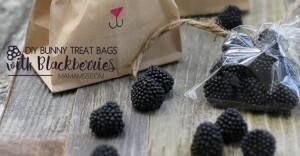 Super cute DIY Bunny Treat Bags filled with Blackberries to accompany The Tale of Peter Rabbit by Beatrix Potter. 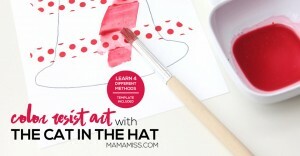 Get in the Cat In The Hat “spirit” after reading the book – then make Color Resist Art using tape and four methods of color on this printable Dr. Seuss Hat. A yummy Valentine’s Day treat without the sugar! 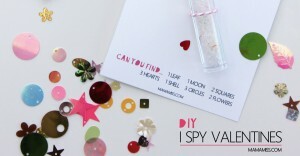 Skip the candy and let a special little someone know you’ve had your eye on them with a printable DIY I Spy Valentines card. 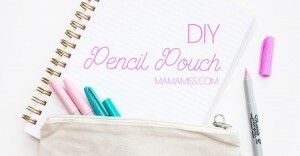 There are lots of ways to get ready for the new semester of school, restocking on new school supplies is one of them, making a fabulous DIY Pencil Pouch is another!